Congratulations to Our Award Winners!! Please take a look at our new home page. We recognize the award winning efforts of our first year's wonderful group of filmmakers and scriptwriters. All were talented and creative beyond belief - but we had to narrow it down to a few of the most well received this year. Each of these projects deserves a wide release and a long life on DVDs around the world. We at the Workers Unite Film Festival are not only are already thinking about next year - but we plan to utilize many of these fine films in pop-up festivals around the city and around the country throughout this election year. Please call us if you'd like some amazing labor/worker cinema to help your organizing drive, your union meeting, your worker center get-together - or even your local's summer picnic! We'll screen the right film anywhere there are workers looking to learn more about their lives and how their struggles are the same struggles as their brothers and sisters around the world. 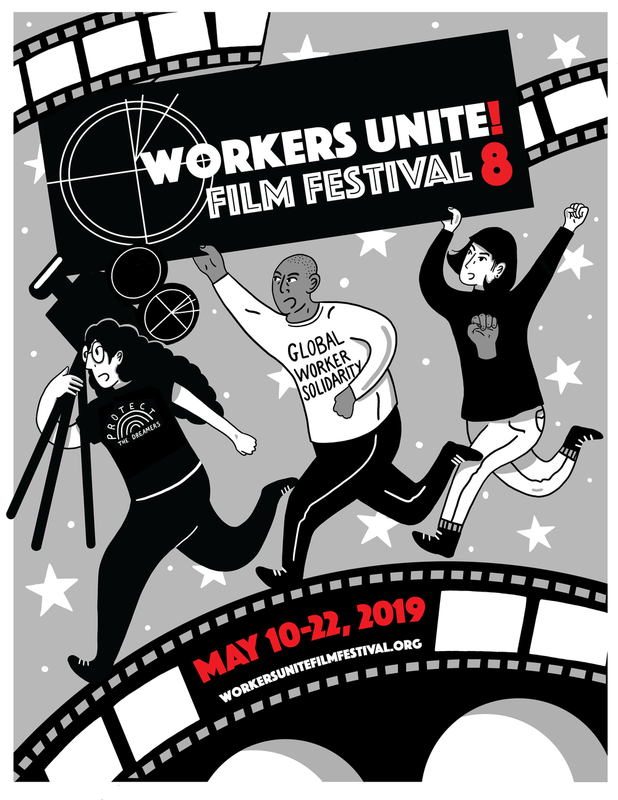 Many thanks to all our entrants for entering over 95 new amazing films and screenplays to the first annual Workers Unite film Festival that highlight the struggles and victories of workers and their unions from around the world! When we started to plan the event over one year ago, we hoped to present powerful, timely stories about where we as a worker/labor movement had come from, as well as what was happening right now on the streets, including Occupy Wall Street. Our goal was for as many people as possible to gain strength from the knowledge that even during a very tough year of anti-labor legislation here at home, that workers across the region, across the country and all over the world, were still organizing, still fighting for their rights and still positive about making progressive change. We were overwhelmed by the response, the creativity, the vision and the passion. We salute each and every one of our entrants and hope to see more of their work in the years to come. Keep organizing, keep fighting, keep filming! In Solidarity. See you next year.